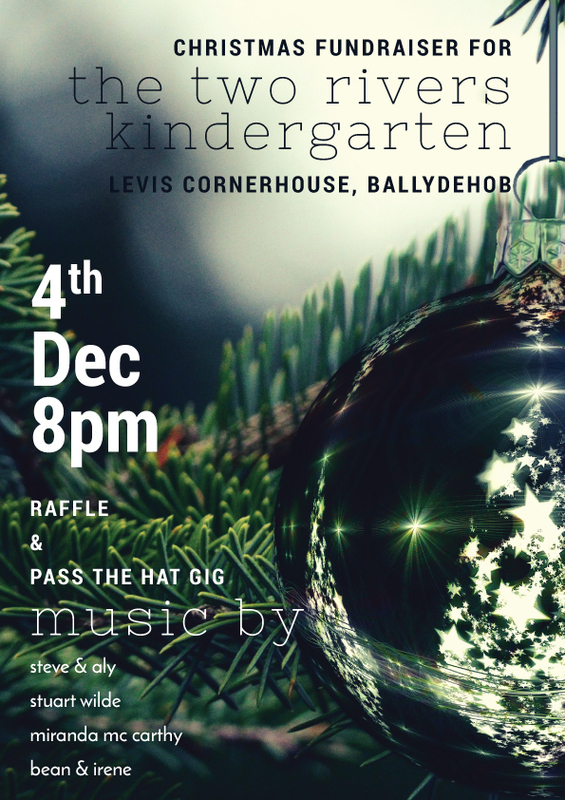 We are very lucky to have some very talented parents, supporters and friends of the Kindergarten who are giving their time and energy to a great fundraising evening happening this Friday the 4th of December at 8pm in Levis Cornerhouse in Ballydehob. The evening will be a relaxed affair and consist of a number of different people playing music – Steve & Aly, Bean & Irene, Miranda Mc Carthy and Stuart Wilde to name but a few! There is no entry charge but we will be passing the hat and all proceeds will go towards the running of the Kindergarten and we will also be selling raffle tickets on the night – so book your babysitters and come and join us for a good start to the festive season.